I was invited to the Jovian Mandagie Aviraya Fashion Show, and being the pengantin-tak-sedar-diri-lagi-seminggu-nak-kawen that I am, I still wanted to attend the fashion show even though I have tons to do!! gahhh!!! I mean, it's Jovian Mandagie, how could I say no to that??!! The fashion show was held at the TUDM Muzeum, Sg. 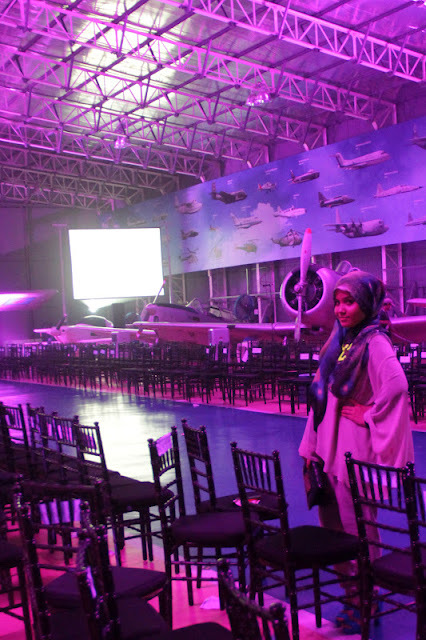 Besi, since the collection itself is called AVIRAYA, avi as in aviation inspired. The collection was to die for and one of the most exciting fashion shows I've ever been to! Such lush and gorgeous details to each piece that was showcased on the runway. Best part is, the collection will soon be available at First Lady & Zalora !! 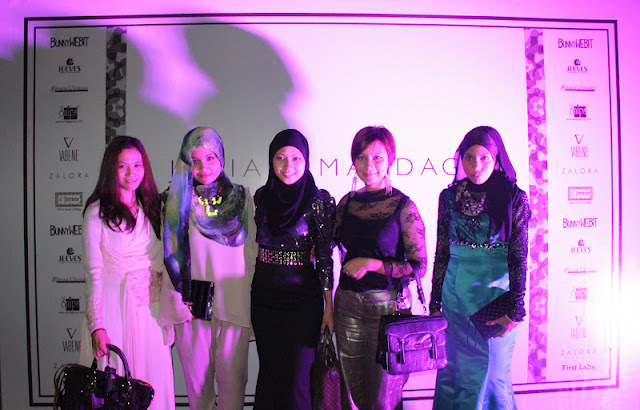 Get your purses ready ladies coz now everyone can afford a Jovian Mandagie piece!! How do you like my DIY necklace? :P yay or nay? Pic credit to Kish:) Thanks girl! 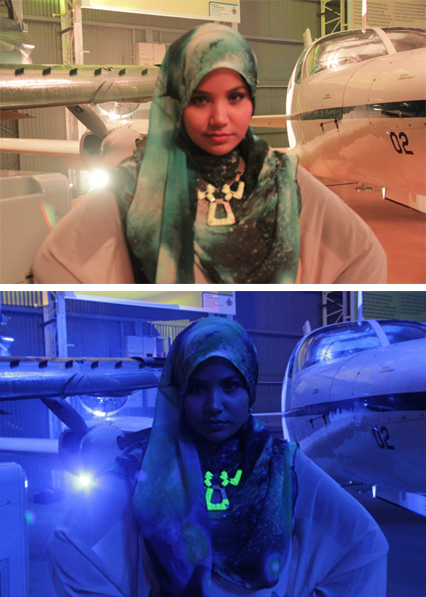 muda lg 24 tu dear..hihi..I dh lbh..
your necklace is glowing in the dark and you do it your self? how can? tell me the tutorial please? thanks before and happy belated birthday too! 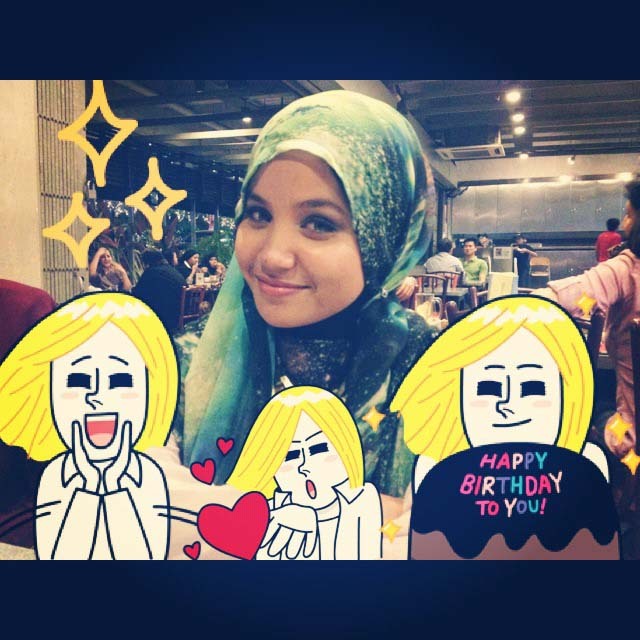 May Allah bles you, xoxo. Looked like a great time - belated birthday to you. And oh-my-God, look at that galaxy scarf!! where did you get it?